Photo: Benjamin Clayton Black House, ca. 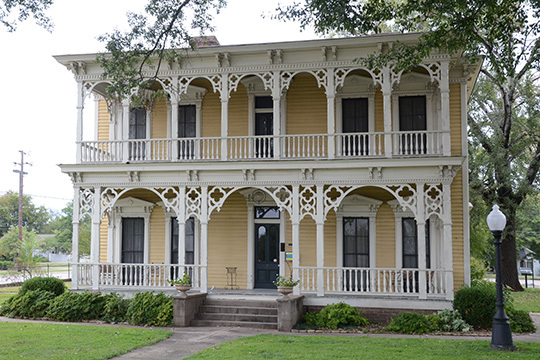 1859, 300 East Race Street, Searcy, AR. Listed on the National Register of Historic Places in 1991. Photographed by User:Valis55 (own work), 2015, [cc-by-3.0 (creativecommons.org/licenses/by/3.0)], via Wikimedia Commons, accessed January, 2017. The White County Courthouse is located at 300 North Spruce Street, Searcy, AR 72143; phone: 501-279-6200. Organized in 1835, the county was named for Hugh Lawson White [1773-1840] who served as a Tennessee U. S. Senator from 1825-1840.